This final post from our week-long holiday in Japan is a semi-random round-up that will probably be interesting to our readers, but don't fit our usual recipe/restaurant blog format. Here's some advice for vegos in Japan in bullet points. 1) Arrange pocket wi-fi before you turn up. There are a whole bunch of companies who will rent you a mobile wi-fi device (smaller than a phone), delivering it either to the airport or your hotel with a reply-paid envelope to return it in. This will mean your phones can access the internet at almost all times, so that navigating Tokyo's impenetrable address system and astonishing subway map is much more straightforward. This is the first time we've done this while travelling, and it was the best decision we made (for the record we used these guys, but it was a panicky last-minute decision - do your research!). 2) Having arranged pocket wi-fi, go right ahead and download the Happy Cow app - it will point you to nearby veggie (and veg-friendly) places, will give you directions and will make eating out in Tokyo a relative breeze. It costs a few bucks, but it's money well spent (and can then be used on future trips to other cities/countries!). 3) Convenience stores are your friend. 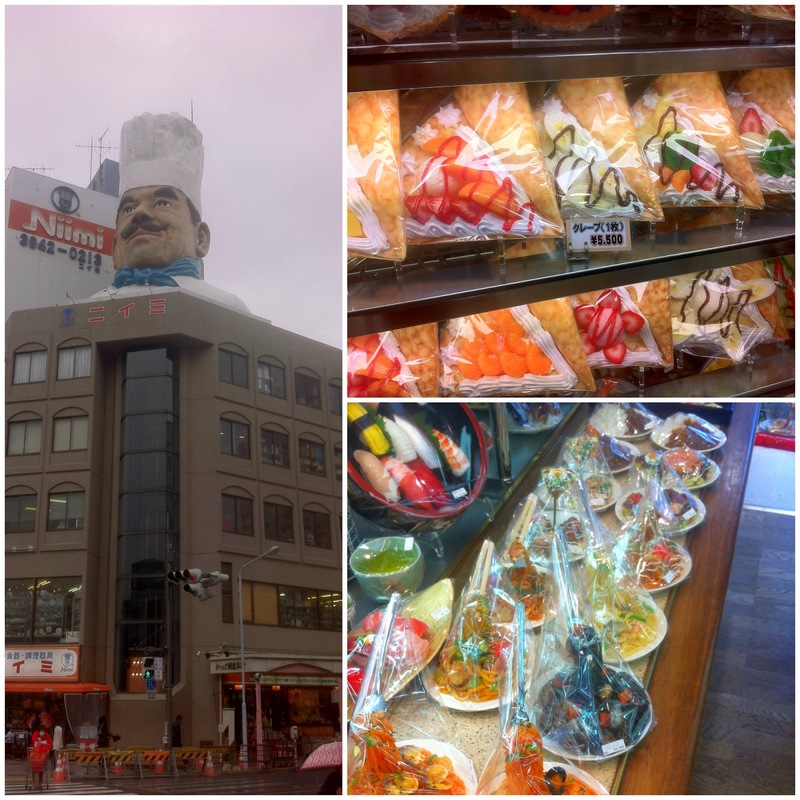 We relied on FamilyMart and 7-11 for quite a few meals - they've always got inari and onigiri (this site is helpful for figuring out your vego options at convenience stores). They've also got all manner of snacks and sweets for when you just need to eat something made of sugar or salt. 4) The basement of department stores are gigantic food courts, with shops of all kinds serving up whatever treats you can imagine. 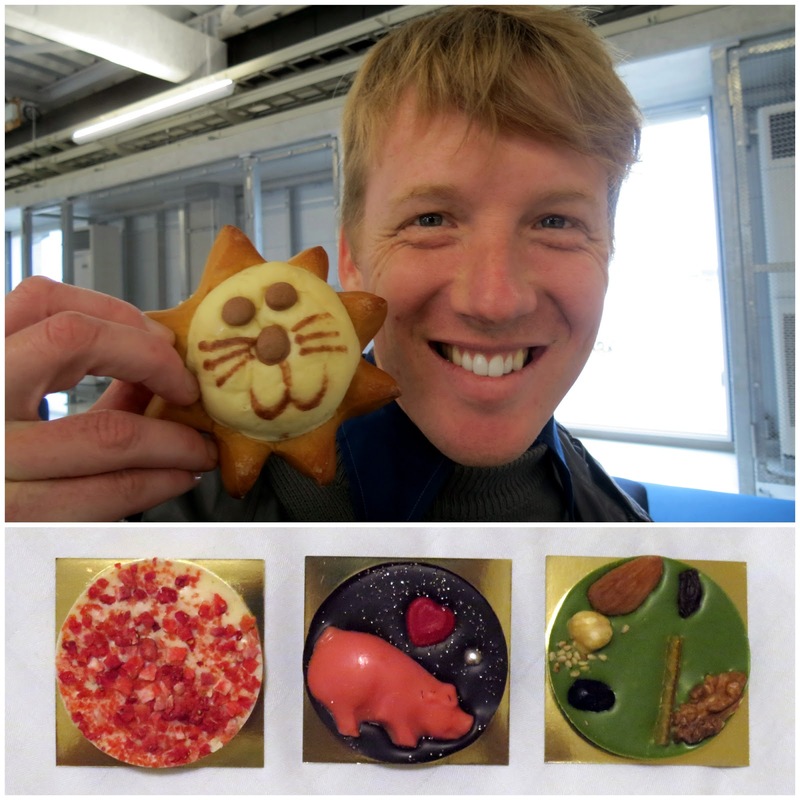 From fresh fruit and veg to mochi, from pastry shaped like a lion to fancy chocolate, there's everything you can imagine available (the basement at Isetan was our favourite on this trip). 5) Make a side trip to Kappabashi Street if you visit the temples in Asakusa. It's the kitchen goods district of Tokyo, and there are a handful of shops that specialise in plastic food models that are great fun to browse through. They're a wonderful source of kitschy gifts too, but be prepared to spend a decent wodge of money - crafting lifelike noodles out of plastic doesn't come cheap. 6) Freshness Burger are a handy source of a vegetarian meal (although probably not a vegan one). There are nearly 200 locations in Japan, including a handy one in the new Jetstar terminal at Narita airport. The bean-based veggie burger and fries tided us over before our flight down to Takamatsu. 7) Toys! We went a bit crazy for toys in Tokyo. It's probably wise not to chase your losses in the toy vending machines because you want a very particular type of cat-sushi toy, but these are hard lessons to live by in the moment. 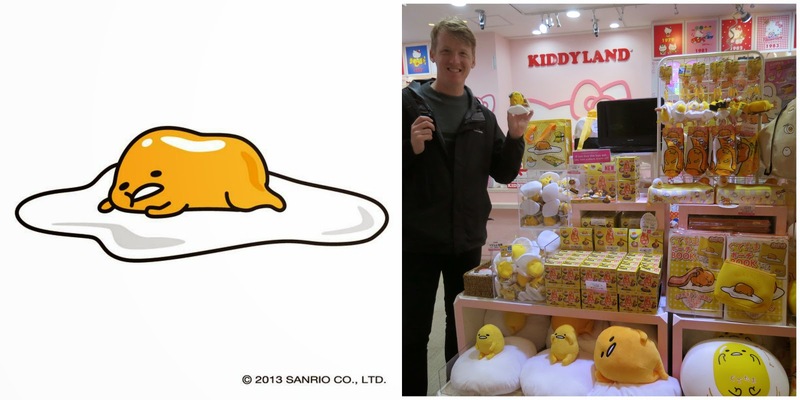 We also fell madly in love with Gudetama, the lazy egg-yolk member of the Hello Kitty family - he's hard to miss if you hang out in the shops like Kiddyland (in Harajuku), a five-storey toy shop that should be on everybody's itinerary. 8) Vending machines are a reliable source of heavily sweetened caffiene-based beverages. Tokyo has a few hip coffee places around, but the pickings are much slimmer than Melbourne and I got lazy and quickly resorted to a mix of iced and hot coffee drinks from colourful machines. You can get them milky or black, but they're all loaded with sugar. And that's it! 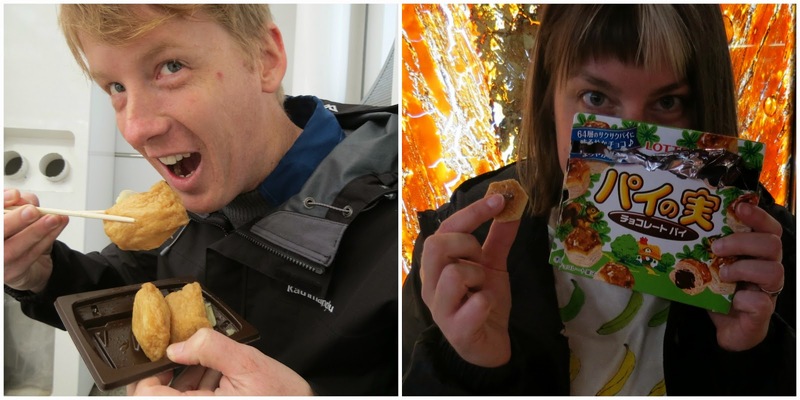 We had a great time in Japan again - it's not the easiest country to be vegetarian in, but the pay-off is worth the bit of effort that goes into planning (and the semi-regular convenience store snacking). Hopefully there are some useful tidbits in this post, and throughout our restaurant-related posts for others making the journey. Enjoy! Ohh this is PERFECT I'm heading to Tokyo in a few months, and am going to print this guide out to add to my slowly building pile of magazine articles and guide books hehe thanks! You're welcome OGED! Hope you have a terrific trip. Hi Johanna! It was a really great trip - we definitely embraced the technicolour-plastic-toy facet of Japan this time around. Perfect, perfect. Thank you for such a wonderful bunch of inspiration for my October Japan trip. You are very welcome, Eliza. I hope you'll tweet your highlights when the time comes! I've loved your Japan series!! !